A pharmacy technician conducts technical functions under the supervision of a Registered Pharmacist. The duties include preparing prescriptions, repackaging, compounding, inventory, and billing. The Kentucky State Board of Pharmacy recognizes PTCB and ICPT certification although it is not required for registration. Employers are especially invested in pharmacy technician certification as it enables employees to work effectively and offer quality patient care and service with an emphasis on safety. Trained and certified pharmacy technicians help pharmacists better serve patients and focus heavily on counseling and direct patient care services. 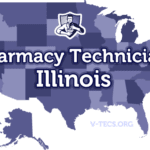 Pharmacy technicians must register with the Board and renew annually to provide technical services at the state’s licensed pharmacies. According to regulations, all pharmacy technicians must register with the Kentucky Board of Pharmacy. Once registered, technicians must place the registration certificate in a visible place in their primary place of employment. The pocket registration card must be in their possession while working. Pharmacy technicians with expired licenses should not submit a new registration application, but seek to renew or reinstate their expired licenses. The online license verification tool is useful when you need to determine the status of your registration. Pharmacy interns registered with the Board of Pharmacy do not need to register as a pharmacy technician to function in the role. Filed an application and no more than 30 days have elapsed. The individual must discontinue working upon notification of a denied application. Persons younger than 16 years cannot provide pharmacy technician services. Is a student enrolled in a pharmacy technician training Students do not need to register to participate in the clinical component of the programs. Individuals who have been denied a license in any jurisdiction and those with revoked or suspended licenses cannot provide pharmacy technician services. Pharmacy technicians must renew their registrations prior to the annual March 31st deadline in order to continue working. Pharmacy technicians must be at least 16 years old when applying for registration with the Board. The Board recognizes Certified Pharmacy Technicians who complete the national certification exam administered by the PTCB and ICPT. Both agencies require applicants to be at least 18 years old at the time of application. While many state pharmacy boards place strong emphasis on pharmacy technician education, there are no regulations outlining minimum education requirements for Kentucky’s technicians. Pharmacy employers may stipulate a minimum high school diploma from prospective employees. Additionally, pharmacy technicians who plan to pursue national certification must have a high school diploma or GED equivalent. The Kentucky Board of Pharmacy expects pharmacy technicians to possess a good moral character, including no history of drug use or felony and misdemeanors. A positive response to the criminal history/drug use questions on the application must be accompanied by supporting documentation, such as a police reports, court documents, and other related documents. Kentucky’s accredited pharmacy technician training programs help students build skills in preparing prescriptions, maintaining patient profiles, filling out insurance claims forms, and managing inventory. Students must complete the didactic and practical externship in order to graduate from most programs. The combination of theory and hands-on training also prepare graduates for the national PTCB or ICPT exam. ASHP accredited programs require students to complete at least 100 hours of clinical training, which prepares them for work in the real world setting, but also gives employers an opportunity to assess their skills prior to hiring them as capable pharmacy technicians. The externship may take place at a community pharmacy and hospital pharmacy to help students fit into a variety of settings. Essential elements of the training include instruction in pharmacy law, anatomy/systems, communication skills, aseptic IV preparation, compounding, pharmacology, pharmaceutical calculations, medical terminology, over the counter medications, and much more. Training is available at Kentucky’s colleges, universities, and vocational schools. However, prospective pharmacy technicians can also train under the direction of a licensed pharmacist in a community pharmacy. The prerequisite for entry varies; training providers may require students to complete a criminal background check, TB test, drug screen, and physical exam. Others may have an age requirement and administer an entrance exam to applicants who do not possess a high school diploma. A top-notch pharmacy technician diploma program, such as a the one offered by Sullivan University, costs $27,000 plus extra for books and supplies. The associate’s degree program at Day College costs $36,000 for tuition only. Fortunately, there are affordable training programs at institutions like Jefferson College, which cost an average of $4,200 for tuition and books. Always inquire about additional costs, such as textbooks, lab fees, registration, and uniform, as training providers do not include these extras in their advertised costs. Financial aid may be available to help students meet the cost of training. The duration of the training program depends on the outcome; diploma programs can last up to 12 months and degree programs run for 18 to 24 months. Employer-based training presents the opportunity for many technicians to acquire knowledge and skills without the accompanying costs. A pharmacist-in-charge will design the program and ensure that students/employees get all the skills they need to work effectively. Keep in mind that these opportunities are rare since many time-strapped employers hire pharmacy technicians with prior training and certification. National certification is not necessary to register as a pharmacy technician with the Kentucky Board of Pharmacy. However, certification may be important to a prospective employer who will hire the best and the most qualified candidates. National certification obtained through the PTCB or ICPT demonstrates that you have the knowledge and skills as well as a high commitment to the profession. It also demonstrates your commitment to growth and providing excellent patient care. Applicants for certification must pass the agency’s exam and meet the other requirements to earn the CPhT credential. The applicant must possess a high school diploma or GED equivalent, pass a criminal background check, and complete formal pharmacy technician training (in the case of the ICPT). After acquiring the CPhT designation, technicians must complete the continuing education requirements and renew biennially to maintain their status. The PTCE is the product of the PTCB and a widely recognized exam. Technicians certified by this agency have the basic competency skills, but must continue to meet the high standards for maintaining certification. This requirement helps to improve critical thinking and help employers decrease staff turnover. The exam is administered by Pearson Vue at state of the art testing centers across Kentucky. Pharmacy technician training is not a strict requirement for success. However, training helps to increase a candidate’s chances of success. The fee for certification is $129, which covers part the cost of the computerized, two-hour exam and other administrative costs. The fee for biennial renewal is $40. The alternative to the PTCE is the ExCPT, which is gaining ground with many state boards and pharmacy employers. Applicants must meet the age, training, education and criminal background requirements to take the test and obtain certification. Applicants without formal pharmacy technician training must have evidence of at least 12 months of pharmacy related employment to challenge the exam. The computerized exam allows for immediate results following the exam. The test is 2 hours’ long and contains 110 questions. The fee is $105; CPhTs must renew their certification every 2 years. An individual may not practice as a pharmacy technician unless he/she submits an application for registration using an application form provided by the Board. There are two ways to register: using the online application or a paper application. For both submissions, the applicant should print the registration certificate online after the Board processes the registration. Applicants must be at least 16 years with no history of felony, misdemeanor and drug abuse. Submit your application online for faster processing of your application. Alternatively, you can print the paper application and return the completed application to the Kentucky Board of Pharmacy. Provide details of your employment, including the pharmacy’s permit number. Use a separate piece of paper to submit details if you work at multiple pharmacies. Respond to the criminal history and drug use questions and enclose supporting documents if you provide a positive answer to any of the questions. Enclose the $25 application fee using a check or money order payable to the Kentucky Board of Pharmacy. Double check the application before mailing to the address provided below. The processing time for applications is 3 to 5 business days. Once the Board approves your application, you can print the certificate online and keep a copy at your place of employment. Applications, where the applicants answer “yes” to criminal convictions or drug use questions, will take longer to process. False or fraudulent information may result in disciplinary actions. All registrations expire annually on March 31st. The Board encourages online renewal for faster processing. However, license holders can print a paper renewal and forward the completed application to the Kentucky Board of Pharmacy. 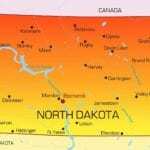 License holders must notify the Board of their address changes within 30 days. Use the online portal to renew online or print a paper renewal application. The fee for renewal is $25. For renewal after the March 31st deadline, the license holder must include an additional $25 delinquent fee. A pharmacy technician who continues to work without renewing the registration may be subject to disciplinary action. An out-of-state pharmacy technician must follow the steps for a new registration in order to begin practicing in Kentucky.